Do you like reading blogs? Have friends who blog, but, don't have time to check them? Don't want to miss out on a post? 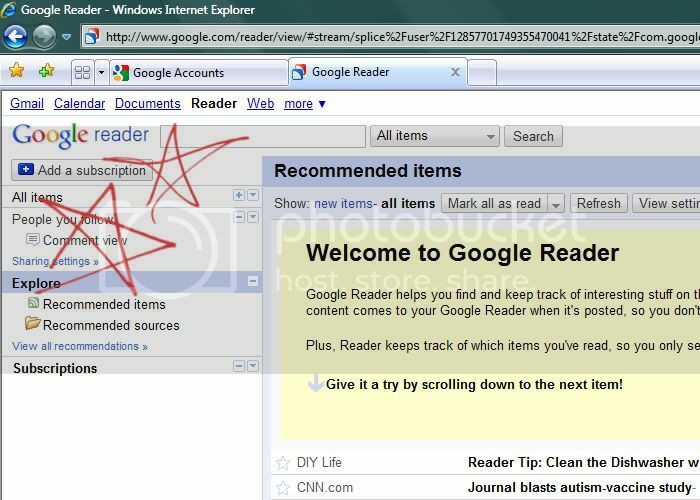 Then you've got to start using Google Reader! It's only the next best thing to sliced cheese! Seriously. First you'll need to have a gmail account. If you don't, you really need, they're great. Sooo great! 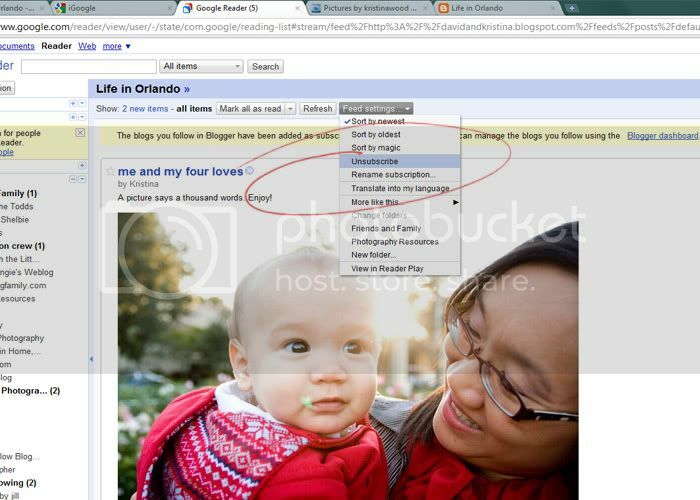 Next you, go to www.google.com/reader and sign in with your google account info. You'll see something like this. Go ahead and click on "add subscription." I've put a red star next to it so you can't miss it. 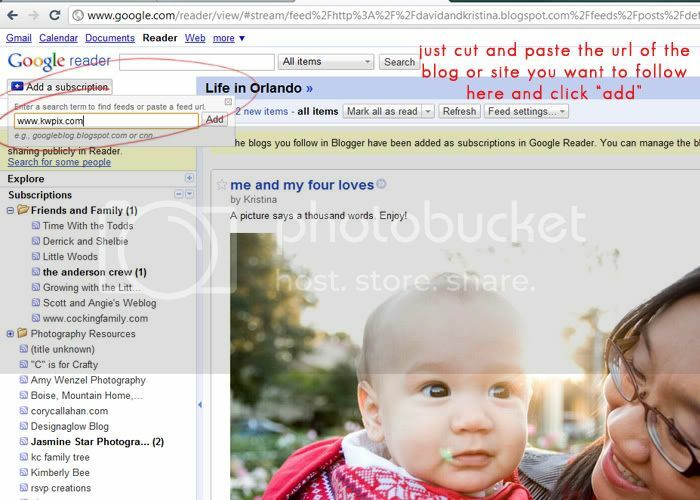 Then, just type in the name of the blog you want to follow. To give you an idea, I'll show you mine. I've signed in with my account, and I'm following my own blog. Umm, yeah, why not? You can add as many blogs as you like. Be careful, though, it can get addicting. Every time there's a new blog post, it will appear in your Google reader without you doing a thing! Your unread posts will appear like an unread email, in bold. When you've read them, they will un-highlight themselves and go back to normal. And, if you really want, you can organize your subscriptions into folders. At one point I was subscribed to an overwhelming number of blogs, so felt the need to move my personal friends into a separate folder in order to prioritize them. What if you accidentally enter the wrong blog address, or decide you don't want to follow a particular blog anymore? Just click on this handy drop down menu. You can unsubscribe and manage your blogs from here. This is also where you can organize them into folders. But, it gets even better. 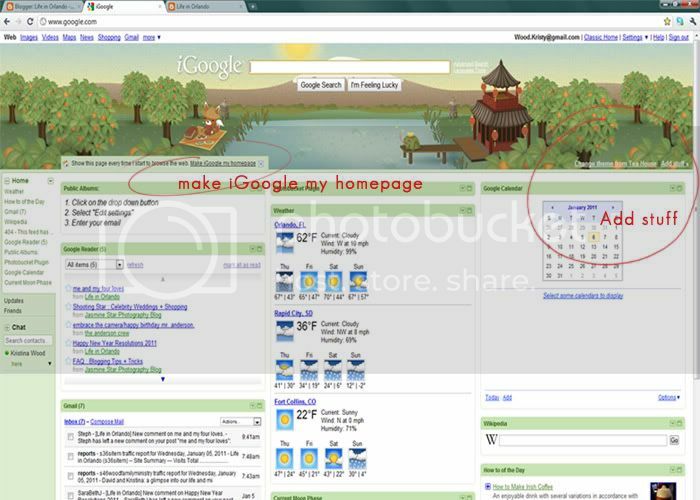 Now, you can customize your own Google homepage. If you haven't ever done this you really need to. It makes life so simple. Everything you use all in one place. So, you should still be logged in to your account. 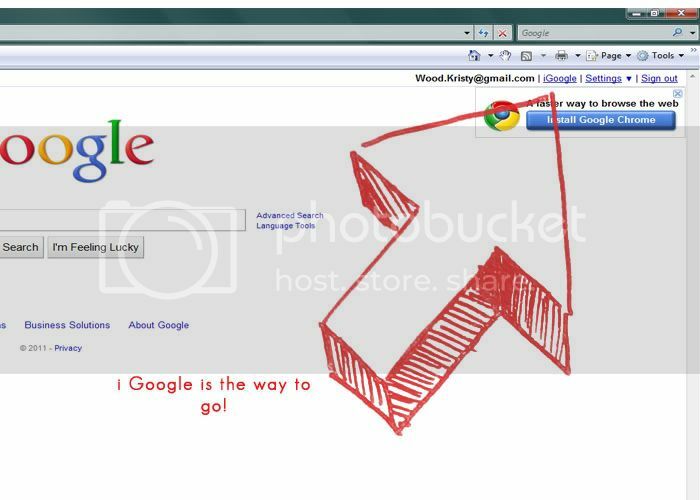 Go back to google.com You should see this: Click on the little iGoogle link. Ready for your world to change? Happy blog reading! I hope this was helpful.